This stone is of dark blue color and is used for strengthening the planet Saturn. Saturn is personified as a statesman and leader of low castes and signifies jobs requiring hard work with less remuneration, leadership of workers, trying to acquire positions in government services, dealing with labour, labour oriented industry, routine workers, labour oriented jobs, engineers, etc. Saturn rules joints, spleen, teeth, knees, phlegm and secretive system. When weak and/or afflicted it causes constant and painful diseases, leg fracture, cancer, diseases of glands, skin disease, paralysis, rheumatism, gout, consumption, flatulence, etc. 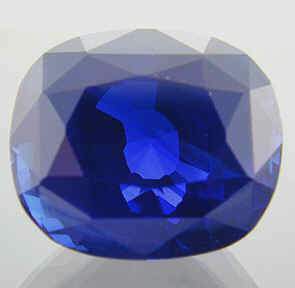 The strength to Saturn is provided by wearing of a stone blue sapphire whose recommended weight is between 4.6 to 4.7 carats. The stone should be flawless and should not contain feathers and silky inclusions. It is very necessary that one wears this stone in an auspiciously elected time.